(NaturalNews) Medical nutrition scientists have written volumes that show how the nutrients from the foods we eat daily alter our genetic structure as well as the metabolism of every one of the trillions of cells in our body. Neurons in the brain are particularly susceptible to an accurately-delivered array of nutrients and critical omega-3 fats to help maintain memory, spatial learning and cognitive function. A number of past studies clearly demonstrate that eating one high-fat junk food meal from the typical fast food restaurant measurably changes the expression of genes that help control the development and spread of cancer, and the retention of critical short term memories as well. In fact, the excessive sugar content and hydrogenated fats from junk foods are known to disrupt insulin levels in the brain and displace essential omega-3 fats needed to construct and maintain cell structure and assist electrical and chemical messaging. A research team from the University of Liverpool's Institute of Ageing and Chronic Disease has published the result of a study in the British Journal of Nutrition that shows how fish oils could minimize the effects that junk food have on the brain. Over the past decade, researchers have demonstrated that high-fat and high-sugar diets could disrupt neurogenesis, a process that generates new nerve cells. Diets rich in omega-3 fats help prevent these negative effects by stimulating an area of the brain that controls feeding, learning and memory. In the largest study to date, scientists accumulated data from 185 studies showing that omega-3 fats from the diet play a significant role in stalling refined sugars and saturated fats' ability to inhibit the brain's control on the body's intake of food. The lead study author, Dr. Lucy Pickavance commented "Body weight is influenced by many factors, and some of the most important of these are the nutrients we consume. Excessive intake of certain macronutrients, the refined sugars and saturated fats found in junk food, can lead to weight gain, disrupt metabolism and even affect mental processing." Researchers were able to determine that excess fats and sugars alter the secretion of critical hormones after eating that normally protect neurons and stimulate their growth. These hormones are prevented from passing into the brain by increased circulation of inflammatory molecules and a type of fat called triglycerides. The team found that omega-3 fats restore normal function by interfering with the production of these inflammatory molecules, suppressing triglycerides, and returning nerve growth factors to normal. 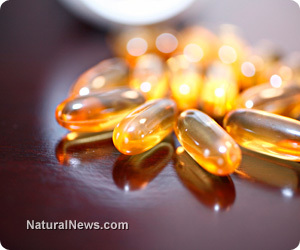 Dr. Pickavance concluded that fish oils "take the brakes off the detrimental effects of some of the processes triggered in the brain by high-fat diets. They seem to mimic the effects of calorie restrictive diets and including more oily fish or fish oil supplements in our diets could certainly be a positive step forward for those wanting to improve their general health." Eating fish several times per week or daily supplementation (1,200 to 2,400 mg) with a quality fish oil product will help neutralize the damaging effects of over consuming sugar and fat laden foods to preserve brain health.